Missy B was bummed when she lost her Nokia 3410 in a pasture while working cattle. Then she used the opportunity to upgrade to a super sweet Motorola Razr V3… because it was 2005 or 2004. She’s not sure. Cut to this year when one of her employees found the phone while working cattle in the exact same field. Missy won’t be able to see what rad texts she was sending during the Bush administration. The buttons have completely eroded and that black and grey behind the screen is mould. Also she can’t find her charger. 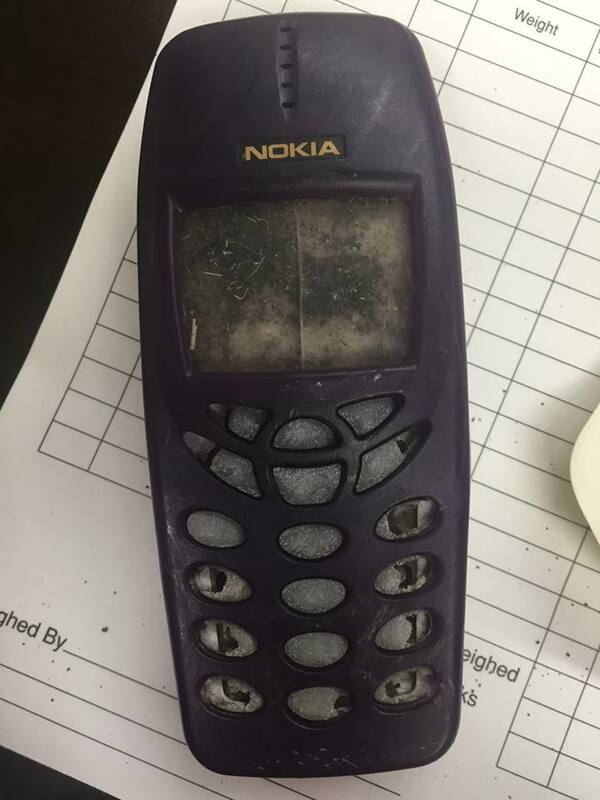 Would the famously indestructible Nokia still work if she did? “I think it’s past the point of working,” she told Gizmodo. Prove it Missy. Prove it.